On Sunday I visited the late Christopher Lloyd’s garden at Great Dixter (http://www.greatdixter.co.uk/gardens.htm). The weather was unkind – wind and heavy rain – but it wasn’t enough to dampen my enthusiasm. This is only the second time I’ve been to Great Dixter but I’ve been a fan of Christopher Lloyd’s books (eg Succession planting for adventurous gardeners) and garden writing (Cuttings) for a long time. I wanted to go in August to see what’s in flower right now. And the garden looked great, so why doesn’t mine?! There were plenty of dahlias and grasses (the fabulous Stipa Gigantea and Miscanthus Sinensis) looking very impressive, even in the rain. They also used quite a lot of annuals (zinnias, marigolds, nicotiana) to plug any gaps. I really enjoyed discovering lots of different clematis that were clambering through shrubs, up poles, and anywhere else they seemed to get a hold. I definitely need to get some more clematis in my garden – and get better at successional planting. 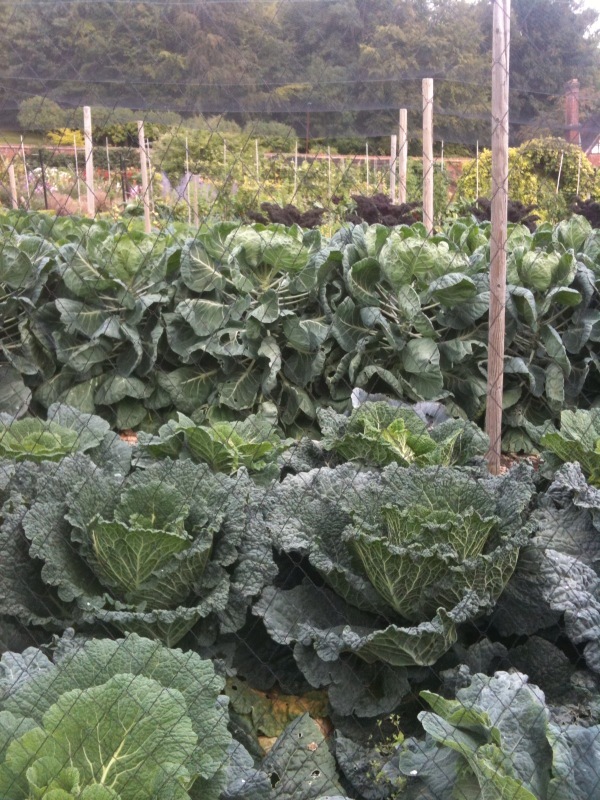 There is also a very impressive, very tidy, vegetable plot. I wish I had more room to grow vegetables, or to build a compost heap the size of theirs! As if all this wasn’t enough, there is a really great nursery attached where you can buy more unusual perennials (approx. £4 each) and clematis (£7 each).